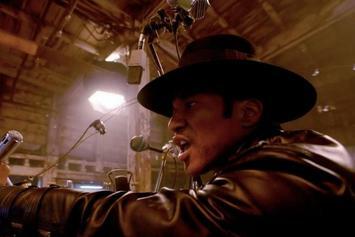 Watch A Tribe Called Quest's new video for "We The People..." off their final album "We Got It From Here... Thank You 4 Your Service." Watch Consequence's new music video for "That Dude." 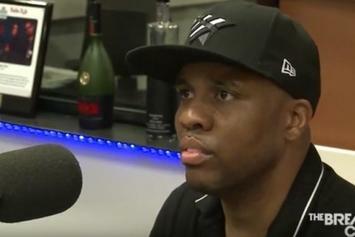 Watch Consequence talk about his new album, working with Kanye West & more on The Breakfast Club. Watch Consequence and Lupe Fiasco team up for "Countdown" visuals. Consequence, Blu Gem and Mack Wilds hang with "Bottle Girls" in their new video. Consequence offers a preview of the upcoming video for a remix of "Bottle Girls" that features Mack Wilds. 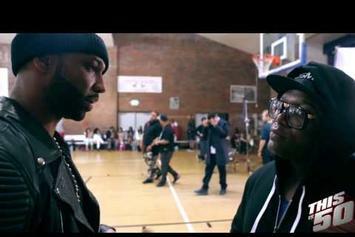 Watch Joe Budden "Talks Consequence Confrontation" Video - it's the latest video from Joe Budden, having dropped on Sunday, March 3rd, 2013. Joe Budden's musical situation is improving with every new release, and Joe Budden "Talks Consequence Confrontation" Video will most definitely help the cause. It's a fine addition to the growing body of work Joe Budden has been developing since stepping foot in the game. We're looking forward to what Joe Budden has in store. 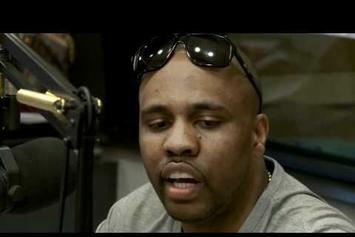 Watch Consequence "Black Actor" Video, the latest video from Consequence, which dropped on Thursday, February 28th, 2013. Consequence's horizons are broadening with each new release, and Consequence "Black Actor" Video is no exception. It's a worthy addition to a catalogue that has seen much growth since Consequence stepped foot in the rap game. We're looking forward to hearing more. Watch Consequence "The Breakfast Club Interview" Video, the latest video from Consequence, which dropped on Monday, January 21st, 2013. Consequence's horizons are broadening with each new release, and Consequence "The Breakfast Club Interview" Video is no exception. It's a worthy addition to a catalogue that has seen much growth since Consequence stepped foot in the rap game. We're looking forward to hearing more. Get a load of Consequence "Reveals New Album Title & More" Video, a new visual from Consequence that saw the light of day on Monday, October 15th, 2012. 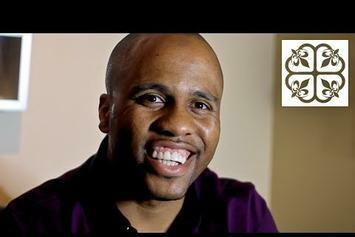 Consequence's movement grows stronger with each new release, and Consequence "Reveals New Album Title & More" Video has further strengthened that fact. It's a solid addition to the commendable body of work Consequence has been creating since stepping foot in the rap game, and we're definitely looking forward to what Consequence has on deck. Experience Consequence Feat. Pooch Hall "Something Light" Video, a new offering from Consequence, which was released on Saturday, September 22nd, 2012. Things are looking better for Consequence with each new release, which Consequence Feat. 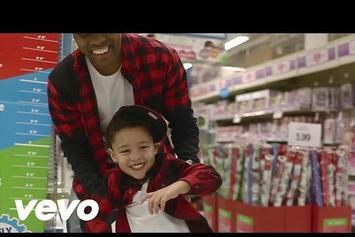 Pooch Hall "Something Light" Video has proven yet again. It's worthy addition to the impressive body of work Consequence has been developing over the years. We're looking forward to hearing what's next. Peep Consequence "Bootleg Kev Freestyle On Power 98.3" Video, the latest visual from Consequence. It dropped on Tuesday, July 3rd, 2012. Consequence's odds keep getting better with each new leak, and Consequence "Bootleg Kev Freestyle On Power 98.3" Video will undoubtedly improve his chances of winning. It's a worthy addition to a respectable catalogue that has seen a lot of growth since Consequence debuted in this game. We're looking forward to the follow-up. 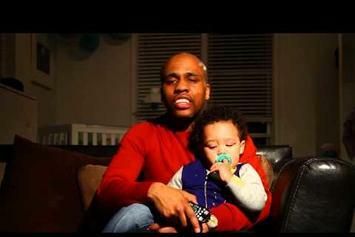 Check out Consequence "Spits Freestyle, Talks On Relationship With Kanye" Video, the latest video from Consequence, released on Monday, April 23rd, 2012. Stream Consequence "On Da Spot (Freestyle) For Invasion Radio W DJ Green Lantern & Boss Lady" Video, the latest video from Consequence, which dropped on Thursday, March 8th, 2012. Peep Consequence Feat. G-Money, Trapstar Mel & Sgt. 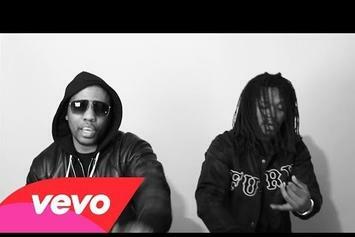 War "So Queens Wit It" Video, the latest visual from Consequence. It dropped on Thursday, January 19th, 2012. Consequence's future brightens with every new release, and Consequence Feat. G-Money, Trapstar Mel & Sgt. War "So Queens Wit It" Video certainly isn't an exception. It's a fitting addition to a solid catalogue that Consequence has been developing since stepping foot in the game. We're excited to hear more. Stream Consequence "Step Up" Video, the latest video from Consequence, which dropped on Wednesday, December 28th, 2011. Consequence's odds keep getting better with each new leak, and Consequence "Step Up" Video will undoubtedly improve his chances of winning. It's a worthy addition to a respectable catalogue that has seen a lot of growth since Consequence debuted in this game. We're looking forward to the follow-up. Behold Consequence "Speaks about Q-Tip Situation New Mixtape and More" Video, a new offering from Consequence, which was released on Tuesday, November 8th, 2011. Consequence's rap artistry continues to improve with every release, something which is most definitely evidenced on Consequence "Speaks about Q-Tip Situation New Mixtape and More" Video. His ever - expanding catalogue is definitely better for it, and we're looking forward to the next piece of the puzzle - aren't you? Peep Consequence "I Get Biz " Video, the latest visual from Consequence. It dropped on Tuesday, November 1st, 2011. Consequence's odds keep getting better with each new leak, and Consequence "I Get Biz " Video will undoubtedly improve his chances of winning. It's a worthy addition to a respectable catalogue that has seen a lot of growth since Consequence debuted in this game. We're looking forward to the follow-up. Behold Consequence "Comic Book Flow" Video, a new offering from Consequence, which was released on Thursday, August 18th, 2011. Consequence's rap artistry continues to improve with every release, something which is most definitely evidenced on Consequence "Comic Book Flow" Video. His ever - expanding catalogue is definitely better for it, and we're looking forward to the next piece of the puzzle - aren't you?